My husband ordered new rowing shorts for both of us last week because the ones we had were getting past their useful life. After being washed so many times, the padding in the rear end (for sitting on those hard little seats in the boats) was getting squashed in some areas and bunched up in others. They were riding up all the time, and I kept having to tug them down. Not fun. It’s much nicer having workout gear that fits properly! 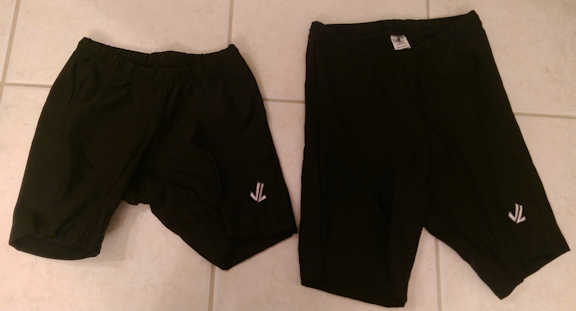 We kind of realized the old shorts didn’t have much life left at the start of the season, but because they wore out so gradually, we didn’t know how much better the new ones would be until we put them on. That’s often how it is with many things, and why it’s important to look around every now and again, paying attention to what might need to be replaced. I need new shorts 🙂 I want to go on a boat ride as well! Perfect thing to do in the summer! Did you see my From the Mountains to the Cornfields post from yesterday? If you read the comments, I promise you will get MUCH laughter!!! My cheeks aren’t red anymore, so you are welcome to leave a comment 🙂 Maybe you have done something similar?? Yes, I saw it, but didn’t quite dare to comment! 🙂 And, I’m sure everyone has done something similar, but most of them won’t admit it.